While collaboration and teamwork has always been a focus in education, equipping the classroom effectively for a collaborative learning experience is not always an easy task. Billions of dollars are spent on IT in K-12 schools every year and it’s important for educators to optimize funding. So, when it comes to collaboration in the school, where and how should you start to ensure smooth lessons and transitions? Ensure network and data management systems are fully equipped to enable and optimize classroom collaboration. Equip server rooms and network closets with racks, cable management panels, crash carts and KVM switches to ensure you maximize uptime in the server room. StarTech.com can help manage and expand networks with solutions that add reliable performance, enable wired and wireless networking and ensure proper ventilation, organization and sturdy protection. Enhance the student learning experience by connecting directly into large format displays from a computer. With video splitters, display adapters and wireless connectivity, there are a number of ways to share a screen within the classroom to ensure interactive and collaborative lessons. CDW and Startech has you covered when it comes to the tools that enable display sharing. Display Adapters supporting Mini DisplayPort, HDMI, and USB-C equipped computers as well as DisplayPort, HDMI, DVI and VGA equipped monitors, projectors or SMARTboards. Collaboration in education goes beyond the students. Teachers can sync their devices to share and collaborate on lessons and activities to ensure students are receiving equal learning opportunities. Multipurpose products that enable secure syncing and fast charging can not only save space and clutter, but also ensure that devices are charged and ready for any lesson, whether it requires mobility or not. Remember, collaboration is becoming an increasingly valuable asset in the workforce and education sector. 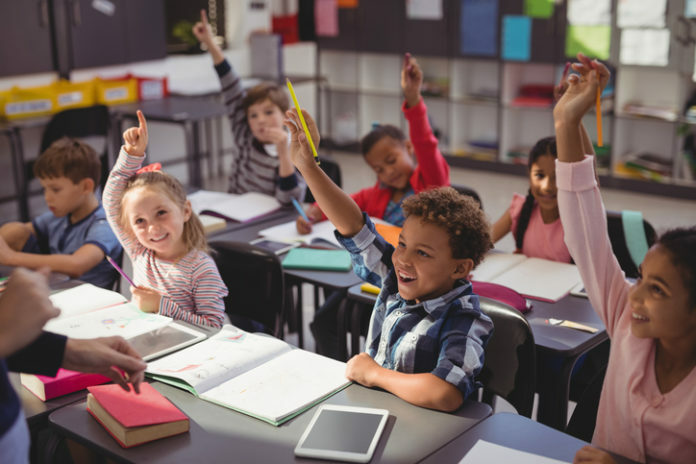 It’s important that in a world where technology is constantly changing and evolving, we continue to equip our classrooms with connectivity solutions that help to enhance collaboration and the overall classroom experience. Whether in K-12 or higher education, these tools enable teachers and instructors to share their lessons and engage with technology seamlessly, preparing students for a future of success. For more information on Startech products for K-12 Education please contact your CDW Account Manager!